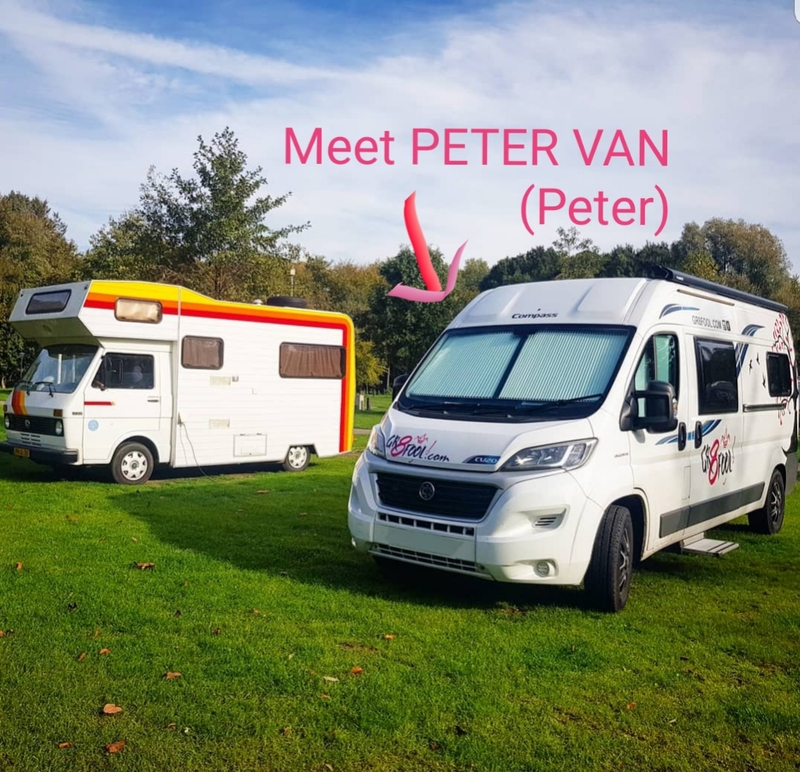 I am so grateful to everyone who participated in the competition launched on 12 October to help name my #vanlife companion. The response was incredible. I planned to announce the winner yesterday (day after closing date), but Amsterdam made a whole day disappear! I heard someone here say the other night: “After a Friday for me there is often a Sunday!”. PETER VAN (for short PETER) ! Congratulations to Max the winner who will receive Freedom Coaching sessions with the one and only! All other contributors will also be contacted with a little thank you surprise. I received 32 qualifying entries and every single one great and creative. This sure made the selection very difficult. The single-member judging panel, made up of a known indecisive Libran, struggled to make up her mind hence tried a series of rituals to reach the fairest and most meaningful of decisions. 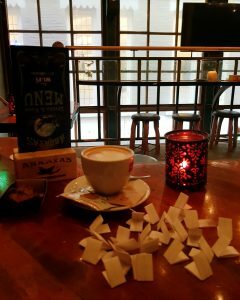 One ritual entailed writing each name in individual pieces of paper, neatly cut out while in a coffee shop, after trying a traditional local cake.. At that point (later deemed inappropriate), the name was going to be randomly picked out by one of the nearby “happy” strangers in the cafè. All names were fantastic and Peter VAN ultimately won. – The name is a play on “Peter Pan”, described as a free-spirited mischievous young boy who can fly and never grows up. He spends his never-ending childhood having adventures…a cultural icon for youthful innocence and escapism (ref. Wikipedia). This really resonated with me. – The character Peter Pan was created by the JM Barrie, a famous novelist from Scotland: the first country I travelled to in the van. – The final sign was a message from mum, received just as I asked for Universal guidance on how to choose. Mum wondered if she could still enter a suggestion and we amicably agreed that I couldn’t accept it. I asked what she would have put forward and she said: “Peter, as in Heidi’s companion”, from the children’s classic creation by J Spyri. For those who don’t know HeiD is the name of my other wheelie travel companion (My motorbike – see previous blogs). Simple genius. Thanks again for sharing the fun. If you have any comments, questions or follow up messages, I would love to hear from you. May the adventures with Peter Van be many and memorable. PS. Cover photo: Peter and I have new neighbours most days. We happily woke up next to this cool VW this morning! Francesca, I should share the prize with your mum then! Thank you Max! Very kind, but no need. Mamma gets special coaching already… whether she wants it or not.